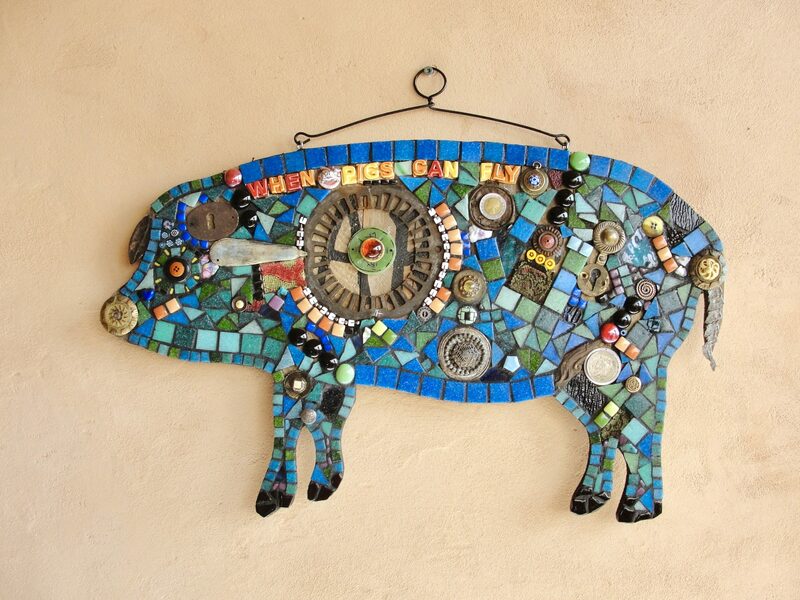 RECYCLED ART – Since the first Earth Day in 1970, 22 million Americans celebrated clean air, land, and water. April is Earth Month! Join the celebration and enjoy the creativity and inspiration local artists find in recycling. We are open Tuesday through Saturday, from 1 to 4 pm, or by appointment. According to curator, Denise Fox, “art media will consist of mainly recycled materials. Our criteria for recycled is using elements that were originally manufactured and would be thrown away, if it were not for your creativity to reformat them in a manner or work of art different from its intended original use. A good criterion is that the materials you use are considered junk, or would have ended up in the landfill if you hadn’t rescued them for art.” Thank you, Denise and Kallie, for a great job hanging and arranging this show. Artists exhibiting include Meredith Britt, Kallie Wilbourn, Denise Fox, Linda Anderle, Dia Atman, Mary Rose Henssler, Anna Aragon, Angela Meron, Joan Krohn, Talia Madrid, Olivia Lovato, Duffy Peterson, Bambi Doe Blake, Robert Redus, and last but NOT LEAST, an enthusiastic group from Rio Gallinas School! KALLIE WILBOURN will be exhibiting in Recycled. Las Vegas’s historic charm attracted me the first time we drove through, on our way east. 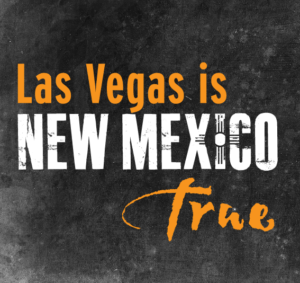 While living in western New Mexico, we visited again and decided to move here. I feel at home here, in this little city that is lovely, friendly, and supports art and education. My first clear memories of school involve drawing or reading or writing and the sense of discovery they opened up for me: the space on the paper I had power to fill; the smell of materials; not knowing what would end up on the paper. Reading contributed to that, because reading encouraged imagination. At the same time, art lessons were confusing: “Stay in the lines!” “Everybody draw such and such, but don’t copy!” I didn’t need to copy but still wondered why we were all told to draw the same thing, but some kids got yelled at because they didn’t feel inspired. This society is conflicted about art and how ‘useful’ it is, and education often reflects that. I’ve always liked to write, but as an adult found that I also needed shape and color to express what I imagined or felt. I returned to art work, and though I can draw, I had not put in the years of drawing practice and found in collage ways in which I especially enjoy working: looking at images and textures; cutting and tearing; painting surfaces; arranging and re-arranging images; gluing; adding texture with paint and gesso. I like working with both representative and abstract images. Collage also fits my interest in history and culture – my observation that different periods of history and levels of seriousness combine and influence each other in ways that are never pure or intentional, always a bit crazy. All of collage is recycling: of different kinds of paper one finds in the closet or is sent in junk mail, of images that range from classic to pop, of ragged or dated books that might otherwise end up in a depository, of culture and ideas that have come and gone or still have influence over people. Experimenting with these papers and images is one way to engage with that and think about it in a different, refreshing way. 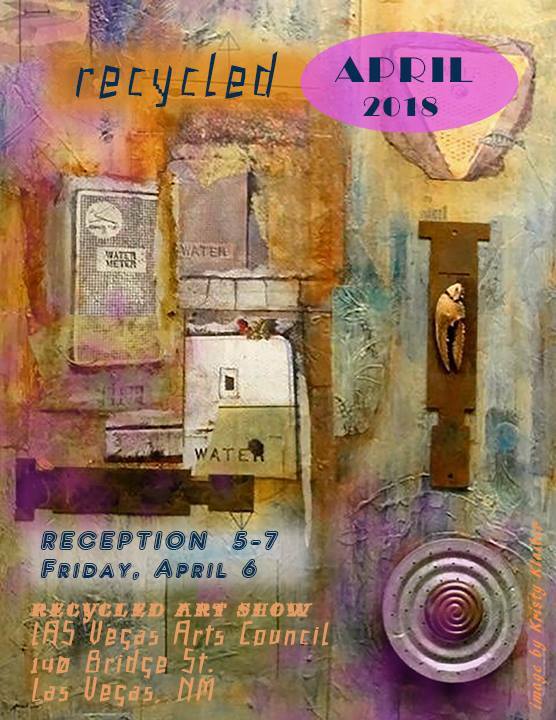 KRISTY KLAIBER will be exhibiting in Recycled. Born and raised in Indiana, Kristy discovered New Mexico on a vacation, backpacking in the Pecos Wilderness. “I just knew I had to live here. After retiring, my husband and I bought land outside of Las Vegas and built an Earthship with old tires and cans (which might explain my love of using found objects in my art). I started using all the scraps from building the house in my creations. “My first artistic memory is of Clotilde Funk, an illustrator for children’s books, and a neighbor. I modeled for her with my sister and brother. I had never met an artist and became fascinated with her artwork and her lifestyle which was very different from my mom and the other moms in the neighborhood. “I have an art minor, mainly focused on drawing and art history. MEREDITH BRITT is exhibiting in Recycled.